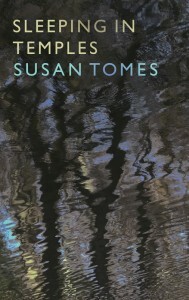 In several decades as a distinguished classical pianist, Susan Tomes has found that there are some issues which never go away. 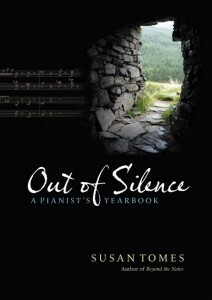 Here she takes up various topics of perennial interest: how music awakens and even creates memories, what “interpretation” really means, what effect daily practice has on the character, whether playing from memory is a burden or a liberation, and why the piano is the right tool for the job. She pays homage to the influence of remarkable teachers, asks what it takes for long-term chamber groups to survive the strains of professional life, and explores the link between music and health. Once again, her aim is to provide insight into the motives and experiences of classical performers. 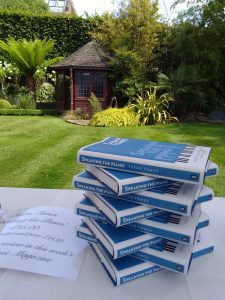 In this fourth book she also describes some of the challenges facing classical musicians in today’s society, and considers why this kind of long-form music means so much to those who love it. 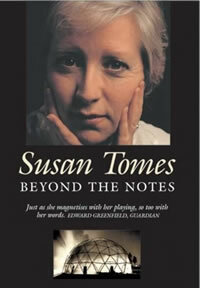 ‘Beyond the Notes’ is a collection of writings which started as my private diary about the life of the chamber group Domus in the early 1980s. Domus was named after the portable concert hall, in the form of a geodesic dome, which a group of young idealistic musicians took around and put up in places where it was not usually possible to hear concerts. For several years we travelled with our dome to fields, hilltops, parks and city squares in Europe and Australia. Later we moved into the traditional concert hall, where we continued to develop our thoughts and expertise about the chamber music we loved. Part One of the book gives an insight into our difficulties and achievements when traveling with our dome. Part Two is a collection of my later essays about other aspects of performing and preparing for concerts. ‘A Musician’s Alphabet’ is a series of 26 little meditations about performing. 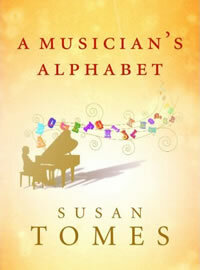 From ‘A is for Audience’ through ‘G is for Grace’, ‘J is for Job – not a proper’ and ‘U is for Unhelpful Thoughts’ to ‘Z is for Zen’, it introduces the arts-loving reader to some of the topics that preoccupy a performing musician. The book was inspired by some of the questions that people asked me after hearing concerts. They made me realize that the working life of a classical musician is a slightly closed book, even to concert-goers, and I wanted to try and throw some light on it. Excerpts from the book were published in the Guardian on Sat 20 March 2010. 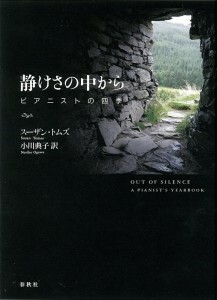 ‘Out of Silence’ was translated into Japanese in 2012 by the distinguished pianist Noriko Ogawa and is published by Shunju-sha. It was chosen by ‘Chopin’ magazine as one of the five best books of 2012. Read reviews of the Japanese edition.